With more devices joining the internet of things, about 5.5 million every day to be precise, it’s important for machine builders and IoT innovators to determine the most effective and efficient way to connect systems to each other and to the cloud. Whether you’re looking to provide versatile connectivity, failover protection, mobile data handling or enhanced security, identifying the right connectivity model is paramount. As we learned from our previous article, there are a number of barriers to LTE connectivity, including the high cost and complexity of device certification. Ultimately, the feasibility of a given LTE hardware solution will depend on your specific application, the installation environment, the number of devices being connected and your willingness – and technical ability – to navigate the certification process. Up until recently there have been three primary 4G LTE hardware models available. Your first option to is to purchase an external 4G LTE modem that connects to a PC using a standard USB or Ethernet port. This is an option if you have a pre-existing Ethernet enabled PC that you want to make LTE capable. 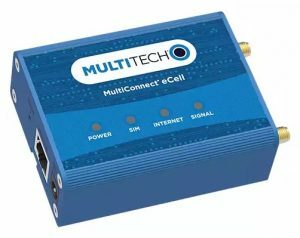 There are several external Ethernet-to-cellular devices currently available, both directly connectable dongles that hang off of PC hardware and external boxes like the MultiTech eCell pictured. While external 4G LTE modems of this kind are relatively inexpensive, starting around $200, there are a number of factors to consider when integrating these products into an embedded solution or end device. External LTE modems require a separate power supply, antenna attachments and additional Ethernet cables. They are also seldom constructed using industrial grade components and tend to offer limited temperature ranges. Of particular concern to embedded device builders, in addition to not offering an integrated installation, external modems leave your network vulnerable to tampering or disconnection. It’s also important to note that with virtually all external modem options you will have to purchase a SIM card separately and activate the device yourself. If you are looking for a rugged or fully integrated solution, this will not be the right choice for you. With a number of 4G LTE components available, it is of course possible to integrate an existing pre-certified modem into your device and embark on the final, end-device certification process on your own. Internal 4G LTE modems can be installed via PCIe slot as well as M.2 interface, and are available from a number of manufacturers. 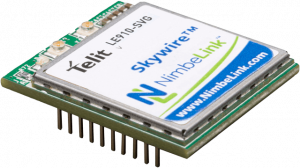 One of the first 4G LTE modem products to market was the NimbeLink Skywire. The Skywire offers a number of network options and development kits and allows users to pay a monthly rate for cellular data plans. While modem integration gives device builders a fair bit of flexibility in terms of hardware design, it is also a very complex, time consuming and expensive process to certify the final configuration. Depending on the use case, registration and/or certifications with the PTCRB, carrier specific organizations and the Global Certification Forum (GCF) can cost anywhere from $20,000 to $50,000 and require as much as 6 months to a year to complete. In addition, because most 4G LTE modems connect via PCIe or M.2, careful hardware design is required to ensure that other features like WiFi or GPS connectivity, which generally require the same installation locations, remain available. 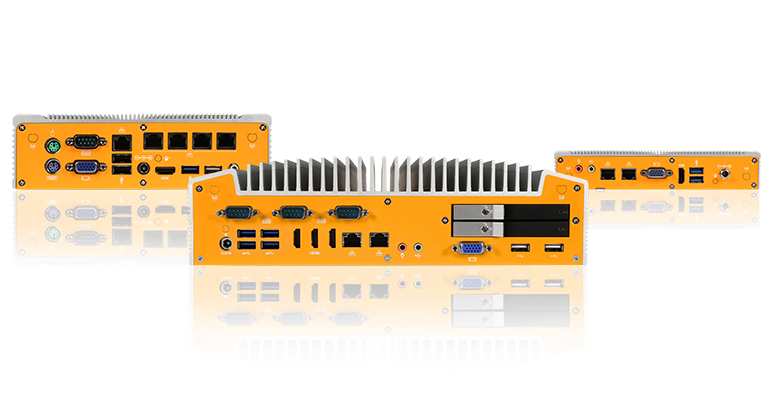 Cellular-enabled embedded computers are a powerful and versatile solution for industrial applications, and the option to buy a pre certified, 4G LTE enabled device is an attractive and convenient one for many hardware users. 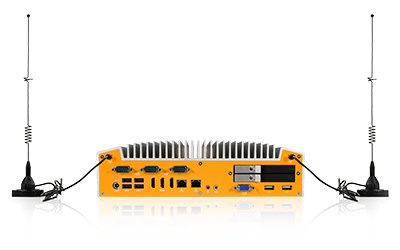 However, only a handful of companies offer pre-certified 4G LTE embedded computers and they tend feature only limited customization options and come at a heavy cost premium. As an example, Dell offers the Dell Box 3000/5000, which start at $1,374 when configured with LTE connectivity. The biggest challenges with pre-certified IPC systems revolve around application and configuration flexibility. Because of the cost and complexity of device certification, 4G LTE computers are most commonly limited to one or two models. As such, your connectivity, form factor and feature options will be limited to what manufacturers elect to certify. If your project has very specific requirements it can be challenging to find a 4G LTE capable system that meets your needs. In response to the roadblocks outlined above, and with input from clients who are creating next generation devices that require 4G LTE connectivity, we’ve recently launched our Extrovert Line of 4G LTE capable Products. Extrovert systems are fully customizable, easily connectible and pre-certified on AT&T’s nationwide 4G network (other major carriers coming soon). 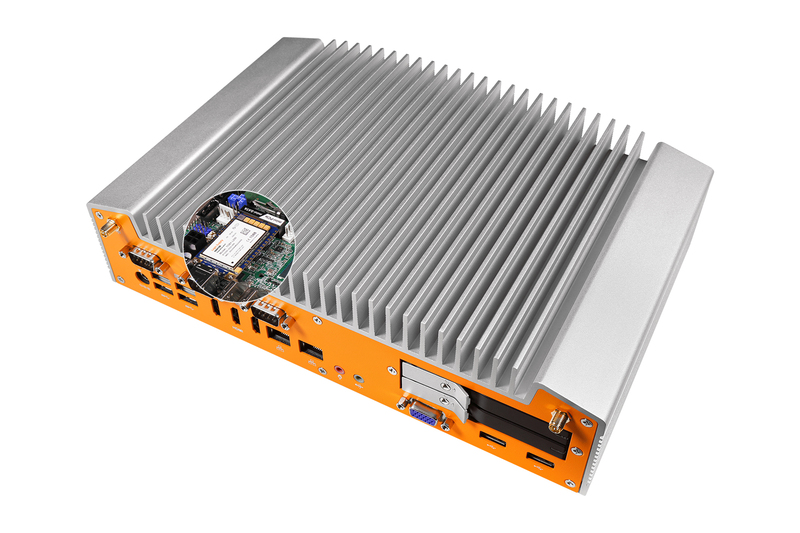 By creating a modem that can be easily integrated into our most popular industrial computer systems, we’re able to offer users a pre-certified solution, capable of reliable connectivity in even the most challenging industrial, automation and mobile computing environments. As you’ve seen, while there are a number of options available for 4G LTE connectivity, if you need an easy to activate, industrial, fully integrated 4G LTE device, Logic Supply hardware with Extrovert technology may be just the solution you’ve been looking for.